CTUpack e-learningTM course launched to combat bad practice in warehouses and other packing facilities. Analysis by specialist transport and logistics insurer TT Club has revealed that as many as two thirds of accidents that involve the loss of, or damage to, containerised cargo are thought to be caused by poor or improper packing and securing. Such a finding is echoed by the ocean carriers’ Cargo Incident Notification System (CINS), where a third of incidents investigated were found to have this cause. The loss to the industry is substantial, resulting in direct expense, operational disruption and management distraction, not to mention litigation or insurance costs. The TT Club’s claims history is strewn with incidents that indicate inadequate awareness of the dynamic forces that can be encountered during intermodal transport, in addition to lack of consideration of the consequences of inappropriate load distribution within the CTU. However, since the modern container typically passes through so many handling processes during its journey, it can be difficult to pinpoint liability for an incident, even where poor packing is suspected. 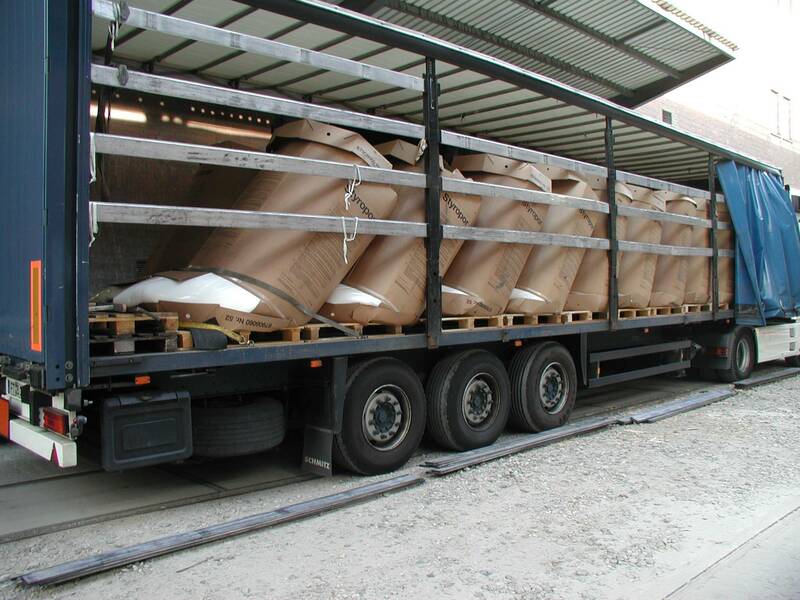 “It is no surprise that the correct packing of containers is high on the agenda for industry bodies, regulators and insurers, as the consequences of unsafe and badly secured cargo are serious. It is important to take account not only of financial losses but also in too many cases serious bodily injury to operators, and even death”, says TT Club’s Risk Management Director, Peregrine Storrs-Fox. “Increased levels of training to maintain and improve the expertise of those employed by shippers, consolidators, warehouses and depots to pack containers and other transport units is now essential”, he continues. “This is why TT Club has commissioned the expert e-learning course designer Exis Technologies to develop the CTUpack e-learningTM course”. 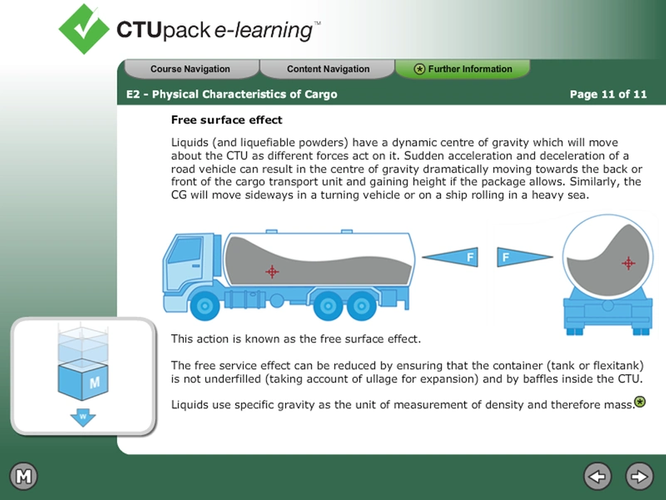 The CTUpack e-learning™ course is an online training tool for those involved in the packing and unpacking of cargo transport units (CTU), comprising freight containers, swap bodies, trailers and suchlike used in intermodal transport. The first release of CTUpack is a foundation level course, which is being launched today. The course modules focus on the topics of cargo, transport, packing and arrival. There are lessons on the issues most relevant to container packers, including forces and stresses encountered during transport, and how these need careful consideration when packing and securing cargo in a CTU. Students are assessed continuously through the course and receive a course completion certificate which records their final score. The e-learning course is accessed via the web and is available for individual training or for national, regional or global company training programs., Multiple courses are managed using Exis Technologies’ e-learning management system, which provides administrator functions for setting up courses and monitoring students’ records. The aim of the course is to focus industry attention on the significant and dangerous implications of bad packing and provide guidance consistent with current good practice. The course takes account of the recent revisions to the ILO/IMO/UNECE* Guidelines, anticipated to be approved as a non-mandatory, but enforceable, Code of Practice later this year. The CTUpack e-learning™ will evolve to reflect any further changes to the UN documents and other industry good practice guidance.